The active diesel electric submarine (SSK) fleet consists of approximately 58 boats in active service! About 18 Type 039A/039B/039C SSK (Yuan class) boats (other sources mention 12 Type 039B/C boats and two other vessels in sea trials) and 13 Type 039/039G SSK boats (other sources mention 16 boats in the class). 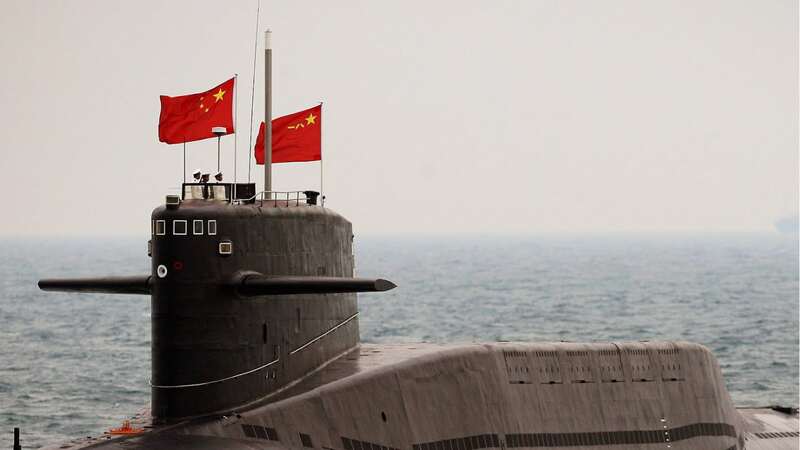 Furthermore, the Chinese Navy operates 12 Kilo class SSK, five (5) Type 035B (Ming class) SSK and about nine Type 035G old SSKs, the remaining of total 12 boats completed of which one was lost and two were transferred to Bangladesh. It is not known if they are still in active service. 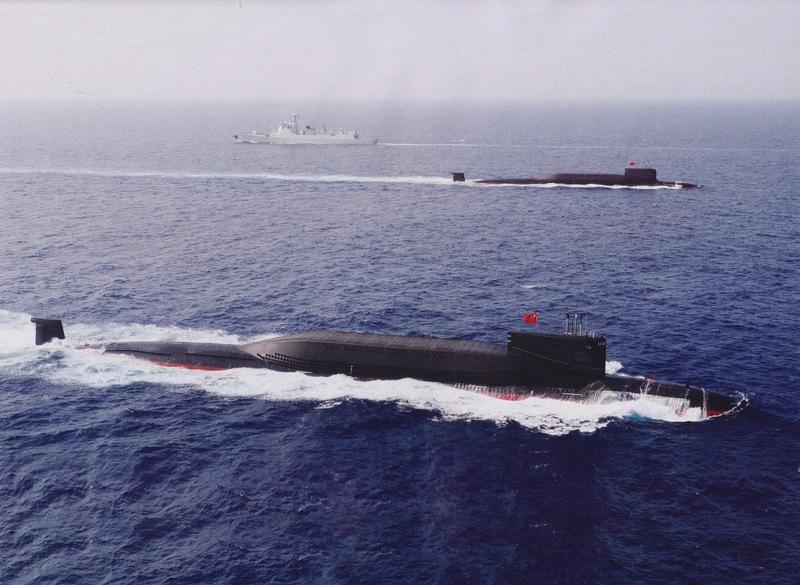 China operates also a sole boat of the Type 032 class (Qing-class), a diesel-electric submarine currently as a testbed in PLAN. It is said to be the world's largest conventional submarine, at a submerged displacement of 6,628 tonnes (!) and a length of about 93 meters. This impressive vessel is armed with a number of 533/650 mm torpedo tubes, 2-3 SLBM VLS in the conning tower and four (4) tube VLS for cruise/ASW/AShM missiles in the forward section! The submarine tests new technologies such as torpedoes, compartments for special forces, underwater unmanned vehicles, new missiles, and others. Take into account please that the sources vary a lot on the amounts of boats in each class and moreover on the pennant numbers of the boats (for example Wiki reports the same pennant numbers for different classes of vessels). Moreover, the new classes are illustrated according to the latest artist's impressions as well as the few existent photos. 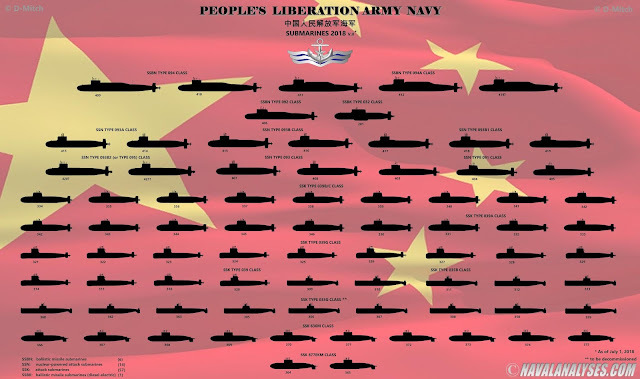 The People's Liberation Army Navy submarines in 2018 (v.II). For a high resolution image click here. Did you label the Type 09IIIB as the Type 09V? Hi there. Type 095 is 09V. Type 093B is 09IIIB. Pennant numbers could not be accurate because sources vary on the matter. The only SSBN Type 092 of the Xia class has always been plagued by many problems. Even after the important modernization in the 80s, at the end of which was reclassified as Type 092G. There are even doubts that he has ever been able to complete a deterrent patrol; in fact, it is thought that it's no longer operational. As for Type 094/094A, not all sources agree on 5 or even 6 boats; often speaking of only 4 SSBNs in service, although the fifth submarine may have entered in service recently. There is new evidence that the smooth-humped 093B boats are actually the 093A, and that we haven't seen the 093B yet. The latter is supposed to have VL cruise missiles and such.